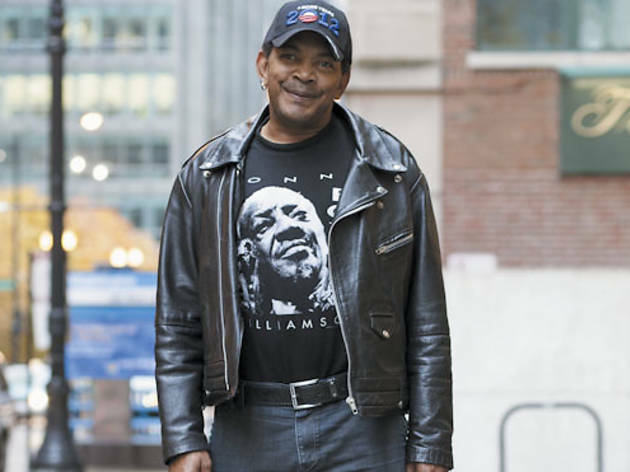 Blues man backs Obama—and the Stones. 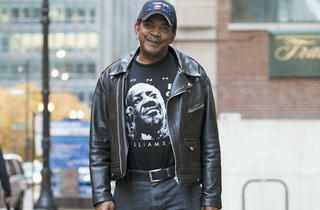 Your cap says “4 More Years.” What kept you on the Obama bandwagon as others fell off? The man has been fighting hard to realize the things he said he would. He has brought back a respect to this country globally. We were in the toilet as far as our reputation. And we don’t have to go into the fact that he killed bin Laden, but we will! [Laughs] Even if that were not so, there is no other presidential candidate as far as I’m concerned. I figure if a man is afraid to reveal his taxes, there must be something wrong with his taxes. If the major newspaper in Salt Lake City does not support this man, I figure they gotta know him better than I do. What’s the origin of your name? I’m a blues man, a harmonica player. I had been looking for a name because I couldn’t call myself Muddy Waters. [Laughs] One night, someone threw a box of records out of a window at me because I was playing on a street corner at about two o’clock in the morning. It was a box of old 78s. When they hit the street, they all shattered. All except one on top: “Sugar Blues” by Sidney Bechet, the great saxophonist and one of my heroes. How did you hook up with the Stones? Hey, man—right place, right time. That’s what it takes to make the music.